TORONTO — From a hearty Irish stew, to adrenaline-inducing cliffs and ancient castles, Ireland has a lot to offer. But once you’ve checked off all the classic Irish sites, what’s left for your clients to do if they’re looking to make a return trip? Travelweek caught up with Dave Marathakis, National Sales Manager for Contiki, to find out his top seven experiences – all ones you’re less likely to read about in the Irish guidebooks. The battle between Scottish whisky and Irish whiskey is well documented. But why choose? 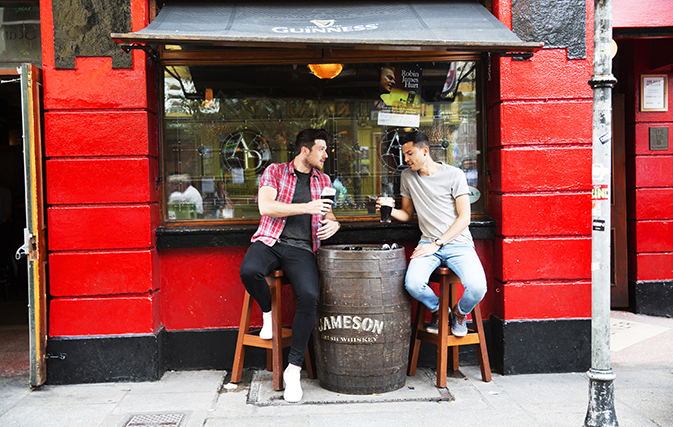 Clients can sample both on Contiki’s 13-day Ireland and Scotland trip, with a visit to Jameson’s distillery in Ireland. For over 200 years, Jameson has been making drams of this liquid gold and clients have the chance to not only learn more about whiskey but enjoy it as well. “Most people think of Guinness when they talk about Ireland, but what they don’t realize is that the Emerald Isle is also the king of whiskey makers!” adds Marathakis. Named the World’s Leading Tourist Attraction in 2016, no trip to Belfast is complete without a visit to the Titanic Belfast museum, which artfully tells the story of RMS Titanic, from its conception to its famous maiden voyage and tragic end on April 14, 1912. It is the most extensive museum dedicated to the ship, and young travellers have the opportunity to score entry when visiting Belfast on Contiki’s year-round eight-day Ireland adventure. Book enthusiasts wandering through Dublin will find no shortage of geeking out opportunities at The Book of Kells exhibition at Trinity College Library. Considered Ireland’s oldest university, Trinity College dates back to 1592 with an alma mater including the likes of Oscar Wilde and Bram Stoker (author of Dracula). 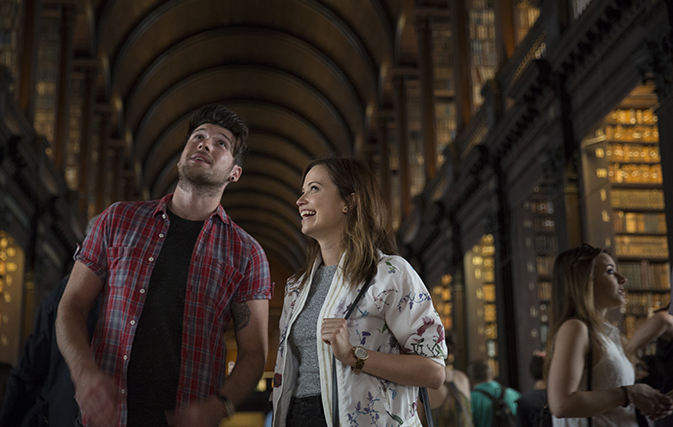 Marathakis adds: “The cobblestone halls of Trinity College will lead your clients to over 200,000 books and manuscripts, including the world-famous four Gospels of the life of Jesus Christ.” It’s the perfect place for history lovers to spend an afternoon (or two). Calling all adventurers – the Cliffs of Moher aren’t for the faint of heart. Reaching heights of 214 metres above the Atlantic Ocean and stretching for 8 kilometres along the coast, it’s a jaw-dropping must-do. “If heights aren’t your client’s cup of English Breakfast tea, they’re best to sit this one out. Contiki takes its travellers to this breathtaking natural wonder on our Irish adventures, including the 17-day Great Britain and Ireland trek. Trust me when I say they’re just as stunning as they are daunting!” says Marathakis. Hiding under modern Ireland is a rich history with many tall Viking tales. Although maybe they’re not that tall at all when clients explore all the ancient relics left over from the raiding heyday. They can find museums showing off the old school wares everywhere, but Dublin probably has the most treasures with a visit to Dublin Castle which holds artefacts of the Irish Vikings. While most travellers visit Northern Ireland for the Giant’s Causeway or Belfast, many end up skipping Derry / Londonderry. Big mistake, says Marathakis. “Derry / Londonderry is the only completely walled city in Ireland, with stunning 20-foot walls dating back to the 17th century. We love taking our travellers here for a walking tour to truly soak up the history.” And clients who love a scare will be interested to know that the city hosts one of the biggest Halloween celebrations in all of Europe. 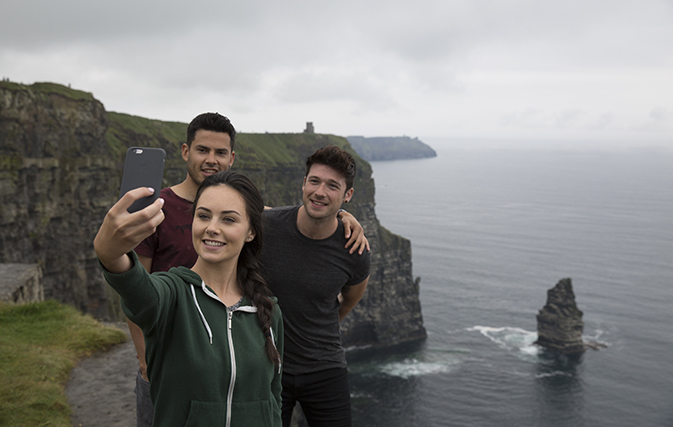 From now until March 31 Contiki is offering $250 off its most popular trips that visit Ireland for a limited time as part of its ‘Contiki SEVEN’ campaign. Trips include Great Britain and Ireland and Scotland and Ireland. Agents can also turn every Contiki booking into a cash incentive. With the launch of its revamped Contiki Rewards program for 2019, agents can earn $250 for every five passengers booked on any Contiki trips that are over seven days. For every additional five passengers booked, agents receive another $250 in cash. Fill out the ‘2019 Cash Incentive’ form, which can be downloaded at contiki.com/agents, and email it to sales@contiki.ca. Agents can also enter to win prize packs throughout the campaign on the Contiki Canada Travel Agents Facebook page, plus both agents and clients are eligible to enter the national grand prize giveaway for a trip plus airfare.